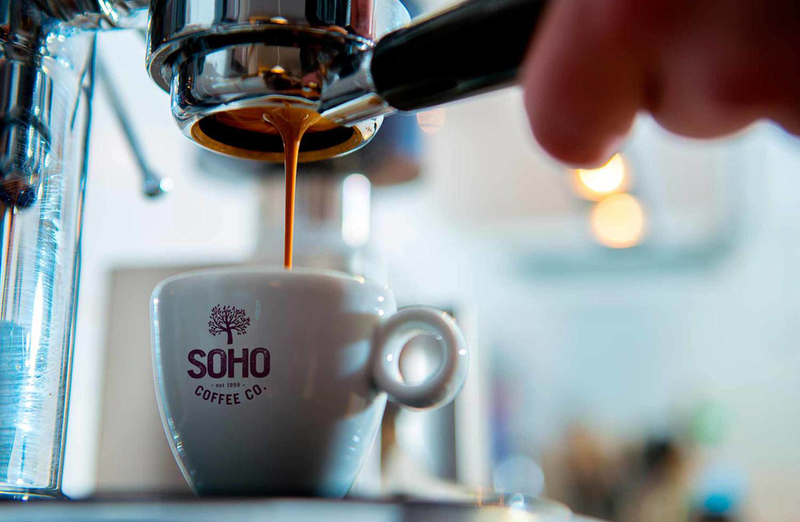 Enjoy Soho Coffee Co.’s signature Fairtrade, Organic & Rainforest Alliance Certified™ coffee, alongside fast, fresh and flavoursome handmade food, prepared in their kitchens daily. They have something for every mood and mealtime, whether it’s vegetarian, vegan, low calorie or some all-out indulgence. Start the day with a fabulous breakfast, from beautiful brioche rolls and the Full SOHO to freshly-baked pastries, fresh fruit and their SOHO Cashew Butter Granola. For lunch they serve a range of handmade salads, sandwiches & focaccia melts. Their hot brioche lunch rolls with delicious fillings and oven-baked, jumbo jackets come with a huge choice of delicious fillings. In a hurry? Grab one of their fresh fruit pots or a ‘blend me’ smoothie or linger for a while.